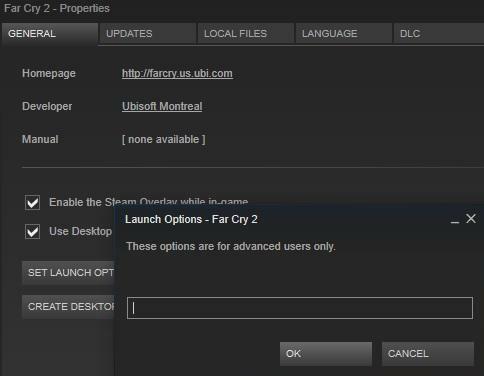 Open your steam library and right click on Far Cry 2. Go to properties and click on "Set Launch Options". -GameProfile_GodMode 1 - Activates God Mode. -GameProfile_SkipIntroMovies 1 - Skips intro at launch of the game. -GameProfile_UnlimitedAmmo 1 - Unlimited ammo. 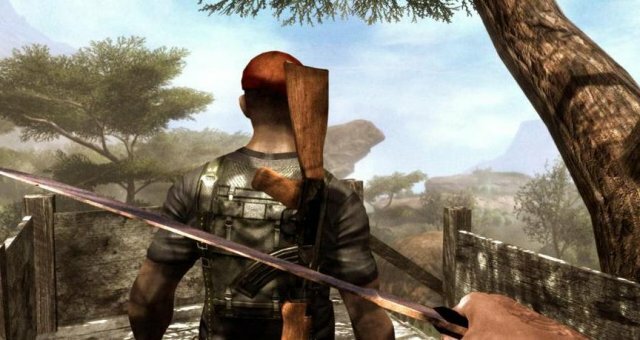 -GameProfile_UnlimitedReliability 1 - Weapons will never jam. -GameProfile_AllWeaponsUnlock 1 - Unlocks all weapons. Warning! Only use cheats after completing the tutorial or you will not be able to proceed!